In this episode we’re going digging for gold as we look at one way to make sure you’re telling the best story about your business or service. Quite often, when you Hit Publish on content for your own business it’s easy to miss the golden details that build engagement and interest in your offer. In fact, quite often business owners think these golden details are innocuous and not worth mentioning. That’s a mistake you definitely want to avoid. Because to your customer, they can be the make or break details about whether they feel confident enough to do business with you. Amy Harrison: Hello, this is Amy Harrison, and you’re listening to Hit Publish, where I cover simple ways to get better results with your online business. In this episode, we are going digging for gold as we look at one way to make sure you’re telling the best story about your business or service. Quite often when you hit publish on content for your own business, it’s easy to miss some little golden details. Now, these golden details may seem innocuous to you and perhaps not worth mentioning, but to your customer, they can be the make-or-break details about whether they feel confident enough to do business with you. Are you ready to dig for gold and reveal the compelling but often missed details in your own business story? Let’s Hit Publish. 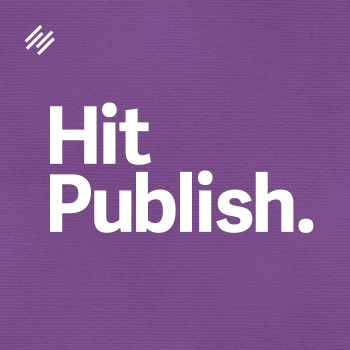 Now, I’ve got a lot of ideas of topics and themes I want to cover in the Hit Publish series, but my real aim is to help you — to be as valuable to you as possible. I decided to start a bit of an agony aunt column for all of your Hit Publish questions and concerns. If you want to submit a question or a problem, you can leave a comment on the show page over at Rainmaker.FM/Series/Publish, or you can always email me using the email address Hello@WriteWithInfluence.com. That’s all one word. I’m a web designer, and I’m really struggling how to write my services page. I’m good at what I do. My current clients love the service and know that I go above and beyond for them. I know my services page could work harder to communicate this. Sometimes I get inquiries from clients, but they always want to beat down the price. Even though I mention on my site that the consultation, research, and revisions are all included in the price, they just don’t seem to appreciate the value of the service they’re getting, and they see me as just another web designer. Can you help? I love this letter, and there were a few things that stood out to me. I’m wondering if you, as a fellow Hit Publish listener, can relate to them. One, she provides a high-quality service. Two, people love what she does. Three, she goes above and beyond and delivers a lot of value. Four, on her services page, she includes some details about what people will receive as part of the service, such as a consultation, for example. Yet, five, despite this, she struggles to convince prospects of her value. Not only that, but she doesn’t really feel that she stand apart from the competition and that prospects are seeing her as just another designer. Can you relate to this? Now I’m confident that, as a Hit Publish listener, you have a superb service in your online business, but it is very common for great businesses to feel undervalued and overlooked. I want to ask you: have you got a current services page, or perhaps you use your home page to mostly talk about what it is that you do? Now look at the words on those pages. Do you feel that they do you justice? Do you feel like they could be working harder to make a good impression? If so, I’ve got something that I think will help. Basically, it boils down to this: are you explaining to your customer in enough detail about how you’re going to be working together, whether you offer a service or a product, or an ebook, or a course? Is there enough detail there that the customer can visualize what it’s like to experience it? If not, you maybe inadvertently using surprise writing techniques, rather than techniques that build suspense. Now, to illustrate this concept of suspense, we’re going to look at a little story that Alfred Hitchcock used to talk about. Film director Alfred Hitchcock was the master of suspense. He had us glued to our seats with classic films, such as Psycho, The Birds, Rear Window, etc. But what does this really have to do with your services page and describing what it is that you offer your customers? Hitchcock continues to say, imagine you’re watching a film. It’s set in a coffee shop, and two people are having a chat at a table. Nothing happens for a while, and then ‘boom!’ There’s an explosion from a bomb under the table. People watching the film are surprised, but up until the explosion, it’s a pretty ordinary, not-very-special scene. Now, let’s redo it, only this time the audience watching the film has seen the anarchist previously place the bomb under the table with a timer set to explode within 15 minutes. That ordinary scene is now much more powerful, more tense, and engaging, all because the audience knows more information about the scene in front of them. Now, the simple lesson here is that the more information your prospect knows about your service, the more invested and more engaged they are likely to be. “But Amy,” I hear you say. “I’m not trying to scare the living daylights out of my customer. I just want them to hire me.” Very, very true. Let’s move from thriller films to the Magic Kingdom. When I was younger, my parents took me to Disney World. To an eight-year-old, it was a magical experience. I didn’t start getting excited the day we crossed through the barriers. My excitement had started many, many months before, all thanks to the anticipation built from a promotional video about Disney World. In glorious color, prior to our holiday, I could watch and preview the experience I was going to have meeting Mickey Mouse, seeing Cinderella’s castle, the Pirates of the Caribbean experience, the never-ending tune that will stay in your head forever, It’s A Small World ride, and the thrill-inducing Space Mountain. I was invested. I was excited. And I was pretty much beside myself before we even set foot in Florida, let alone the theme park. The experience, again, was much more valuable and rich and memorable to me because I knew more about what was going to happen. As Hitchcock would say, wherever possible, the public must be informed. “But Amy,” I hear you say again. “I’m not selling Disney World. How could I make this work for me?” That’s an excellent point. Even if you’re not directing a high-tension thriller or selling the world of Disney dreams, you can still use this concept of keeping the public informed to increase engagement and value when writing about your offer of services. You see, when people are thinking of investing in a service or a product, they don’t tend to like surprises. Now, last week, we looked at how trust has really been eroded between consumers and business and how you got to work harder than ever to make people feel comfortable and confident about doing business with you. Well, one of the simplest ways you can do this is to strip away any mystery of what it’s like to work with you. That means including plenty of details about what your service involves. You want your audience to visualize clearly what it’s like to not only hire you, but then to work with you and see the results that you can get for them. This does two things. It builds trust and confidence, but it also encourages them to imagine themselves working with you. You know what? If they like what they see in their minds, I have no doubt they’ll be just as excited as I was to get to Disney World. So how can you do this? It is super simple. I want you to take a sheet of paper and outline all the details the experience of doing business with you. I really mean step-by-step. If you sell a product, describe in as much detail what it’s like to use it. Maybe you sell handcrafted bags or clothes, in which case, describe the materials. What are the materials made of? How are they sourced? Where do you buy them from? How do you choose them? How do you select them for the best quality? What’s the research that you do in order to source these kinds of materials? What do they feel like to touch? How long does a customer have to wait for delivery? I want you to imagine that you are describing the story step-by-step to someone that knows nothing about your business. If you are selling a course or an ebook, then highlight what it is they are going to learn. What’s included in each of the chapters? What are they going to discover in the different modules, the different lessons? Really break it down. If you do offer a service, such as our web designer, Cathy, outline all the steps from your initial conversation to how you deliver your first draft, for example, to any revisions that you do and then to the final implementation. Well, if that’s true, and if you can say that about your industry, then that’s fantastic, because you have an opportunity to get a march on the competition. Why? Because if you think that way — that the stuff you do is pretty standard and no big deal — then there’s a good chance your competitors are thinking exactly the same. That means they may not be talking about these key details. Remember, you’re not writing for people in your industry. You’re writing for your customer. They may never have used a service like yours before. Imagine this: if every one of your competitors is missing these details while you’re using them to paint a rich picture of exactly what you do for customers, which content is going to stand out more to a prospect? Now when you’ve got your list of details, I want you to do another thing. I want to make sure you’re explaining what you mean when you use general terms. For example, which of the following sounds more valuable? “Oh, hey, look, this web designer offers a free consultation.” That’s nice, dear. Or, “Hey, this web designer offers a free 55-minute phone conversation that’s recorded, and then you get a tailored action plan within 24 hours of the call.” That, my dear, sounds like a web designer who’s going places in the world. Look through your content, look through your details, and see if there are any of these words that can be unpacked to showcase even more detail and value. Now once you’ve got this golden list of details, I’m guaranteeing you’re going to spot things that you’re not currently talking about in your copy that would be really valuable to your customer. You can start incorporating these into your services page. Now, you might be wondering, “Well, how many should I include?” because hopefully you’ve got a very, very long list of great details. Here’s a quick rule of thumb: the more expensive or complex your offer is, the more details customers need to make a buying decision. Don’t shy away from details. They might just be the very points that swing some business your way. Now, what happens when you have this rich illustration of what it’s like to work with you? Number one, the mystery is stripped away. Customers know exactly what they are going to get, and this in turn builds trust and confidence. Number two, it builds anticipation and excitement. If your service is a particularly enjoyable one — let’s say you’re a spa or a leisure facility or even an event or a conference — you’re helping your customer not only visualize the experience, but build an emotional attachment to it. If they can picture themselves there and they like what they see, your value is going to increase in their minds. Finally, number three, it also reinforces the justification, the decision to buy. Let’s say your customer has to discuss the purchase with their spouse or a colleague or a boss. You’re giving them all these great details that they can use to make a persuasive pitch on your behalf. If they’re looking at the difference between two suppliers — one that has all these fantastic details about the things that customers are going to experience and the other one where the information is a little bit more scant — the one with detail is going to seem more trustworthy. It’s going to be build more confidence for someone to do business with them. Here’s my question to you: what details, what golden details, are you missing from your content? When can you add them in? This exercise might take you only 15 minutes to fill a page of great notes. You could do it on your coffee break, and then you’d be one step further to writing compelling content that sells your value, makes a great impression, and makes you stand out from the competition. I want to thank you for being a wise Hit Publish listener. If you found this useful today, I’d love it if you popped over to iTunes and left a rating and a review. It takes just a few minutes but fills the Hit Publish world full of love. Don’t forget, if you want to be featured in the Dear Amy column, simply leave a comment on the show page with your question or problem, or email me using Hello@WriteWithInfluence.com. That’s all for this week, so until next time, remember to take action and Hit Publish. After listening to your podcast I couldn’t help to think about how Apple describes every new product they want to sell. They talk about materials, what people wanted to achieve, even some problems they faced -but were able to overcome- to offer the device they present. Very interesting to hear the example from A. Hitchcock too! Thanks for your comment Francisco! Apple definitely nail the story-telling and ‘suspense’ approach. Before you even receive an Apple product, chances are you’ve already imagined one in your life, and then been unable to imagine not having it! Building that visualisation and connection to a service or product before people buy is a killer engagement tool.